This program is a specialized, sophisticated treatment program for young people with a variety of serious issues that may include any of the following mental health issues: severe depression, suicidal ideation, a history of self-harming behaviors, emotional imbalance and other forms of serious emotional difficulty. This is an intensive outpatient program for young people who do not have a history of substance abuse. 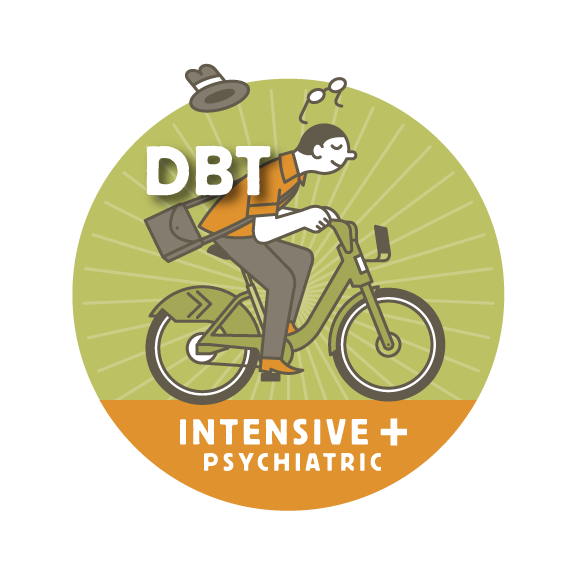 It’s our new DBT Intensive Outpatient Program for teens and young adults who are primarily struggling with mental health issues, but without the substance use. It’s run by our “intensively trained” (by Behavioral Tech) DBT therapists who can help the young clients feel safe and secure even as they’re learning to manage troubling emotions. Our wonderful psychiatrist and medical director, Pat Frischtak, MD, leads the treatment program. Please contact us to visit, to meet and greet, to experience the warm and friendly environment, or to find out more! Most teens and young adults do not need this type of specialized program. But for young people struggling with the issues listed above, treatment-as-usual generally does not meet their needs. Dialectical Behavioral Therapy teaches young people a wide variety of skills that they learn, practice, and are able to use to create "a life worth living." But Potomac Pathways DBT Intensive offers more: a warm, caring and supportive environment; experiential elements like yoga and mindfulness meditation; art therapy, music therapy and outings like--hikes by the river, movie nights and more. Although there are other DBT providers in the area, this program is adapted to address the needs of young people with a higher severity of mental health issues (not including substance use). This program would not be appropriate for young people who have a substance use disorder.